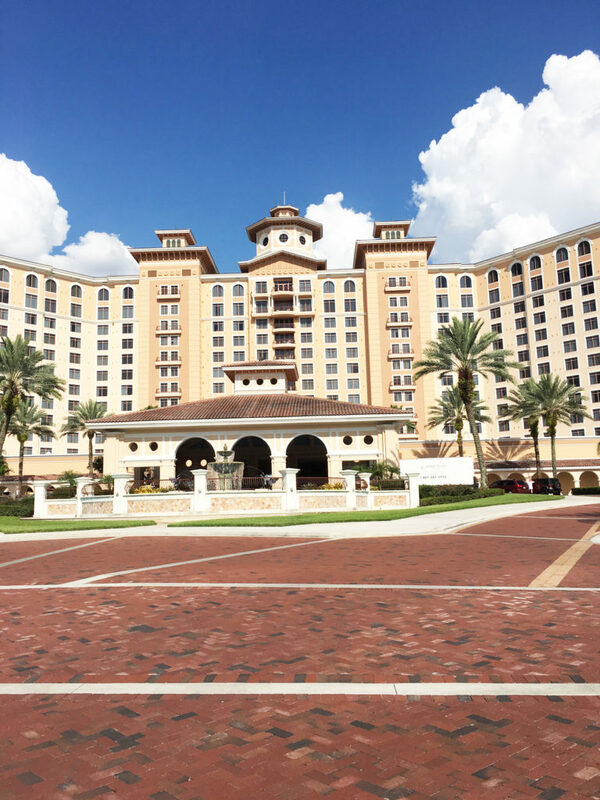 Hotels that have it all can promise a lot but deliver only a little; Rosen Shingle Creek, however, serves as a shining example of how to give great service, in a beautiful hotel with top notch amenities. When last minute booking, if you find a hotel with a great price you can be a little suspicious that you are indeed really getting a great deal. As soon as Rosen Shingle Creek was in my sight in the horizon I knew I gotten everything I paid for and a little more. 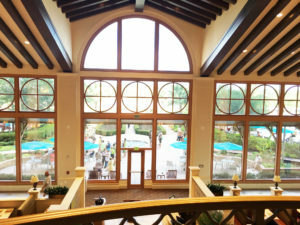 The hotel’s large and welcoming reception area is grand enough to fit the huge conferences the hotel often hosts while still peaking the interest of small families and groups of all different age ranges. The focus on quality does not stop there as the rooms continue the spacious luxury vibe of the lobby and grounds. 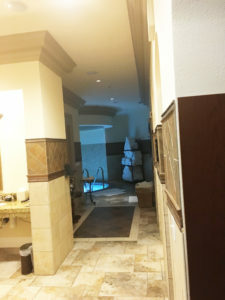 While the hotel did remind me some other large hotels that I loved, some of the things I found unique about the feeling of a Caribbean all-inclusive without the long distance travel and cost involved. Everything you needed was on site and not just one but several options to give you just want fits for you. The hotel offered a lot of great restaurants from sushi to Mexican with ambiance choices equally expansive for family dining and for some grown up fun. 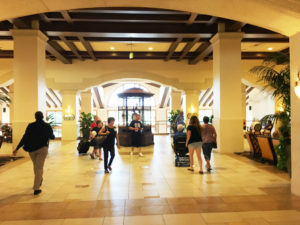 If you wanted to be more on the move there was a store where you could pick up snacks for your room or pool area or get a quick lunch from the preset menu or sandwich bar. Outside of eating and relaxing in your room the hotel pool was also a hit with the kids. 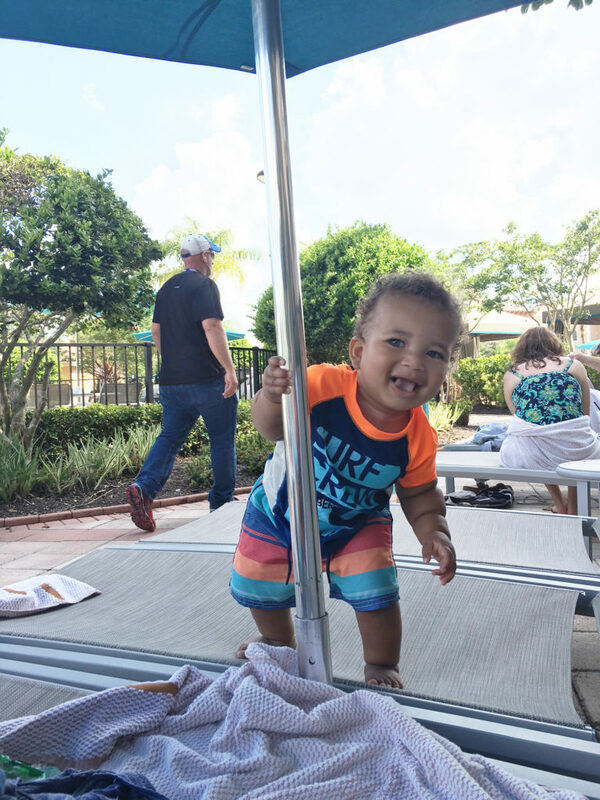 While the Rosen does not offer the most features or space I have seen in a family focused pool, the wade in opening made it easy to have fun with the kids of all ages. The kids and families at the hotel were friendly and ready to play so the older girls quickly got lost in a game of Marco Polo while Bronx practiced his dance moves and I enjoyed a Pina Colada. 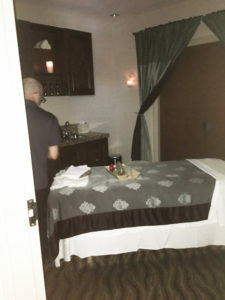 I even got a chance to sneak away to their posh spa and get some real relaxation time in. All in all it was a day that would be hard to top at a hotel that is definitely at the top of my list when visiting Orlando.